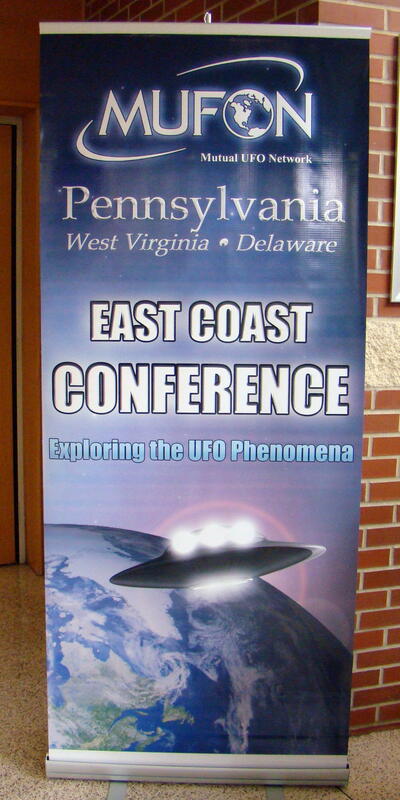 In the mountain of Pennsylvania, MUFON enthusiasts gathered at Westmoreland Community College in Youngwood for their annual conference recently. MUFON (Mutual UFO Network) is an organization investigating all reports of Unidentified Flying Objects throughout the world. Lectures were presented throughout the day, authors signed books, and visitors shared experiences. UFOs vs Paranormal was the first lecture of the day given by Karyn Dolan. 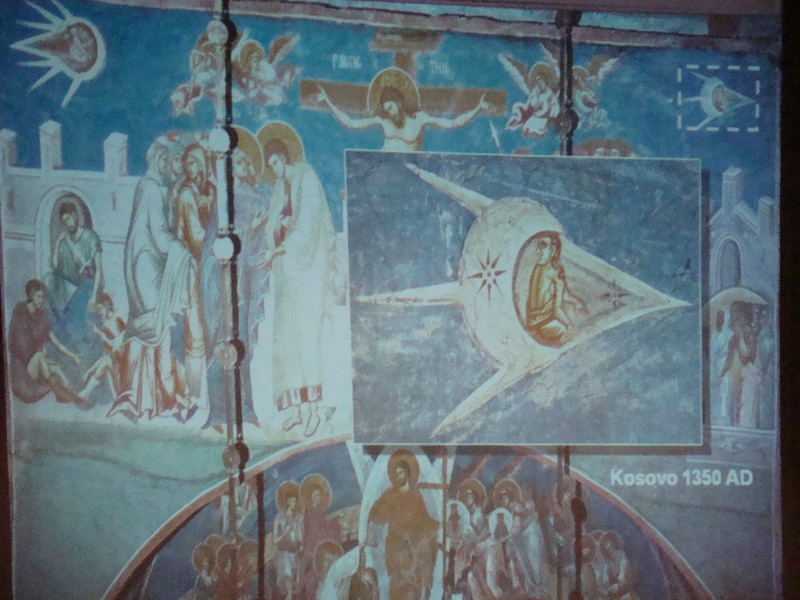 The public perception varies on these two topics as ghosts are an acceptable belief, while UFOs usually require a cover-up. No one really likes to admit they believe in UFOs, but most people do…they just don’t want people to think they do. If you do believe in UFOs, you have to change the way you see the whole world. The earth is no longer the only important heavenly body. People, who had been abducted, increased their psychic abilities and through meditation began to receive contact with other beings. While contact with alien life seems to change emotional levels, we all know people who are psychic vampires and drain away our energy! 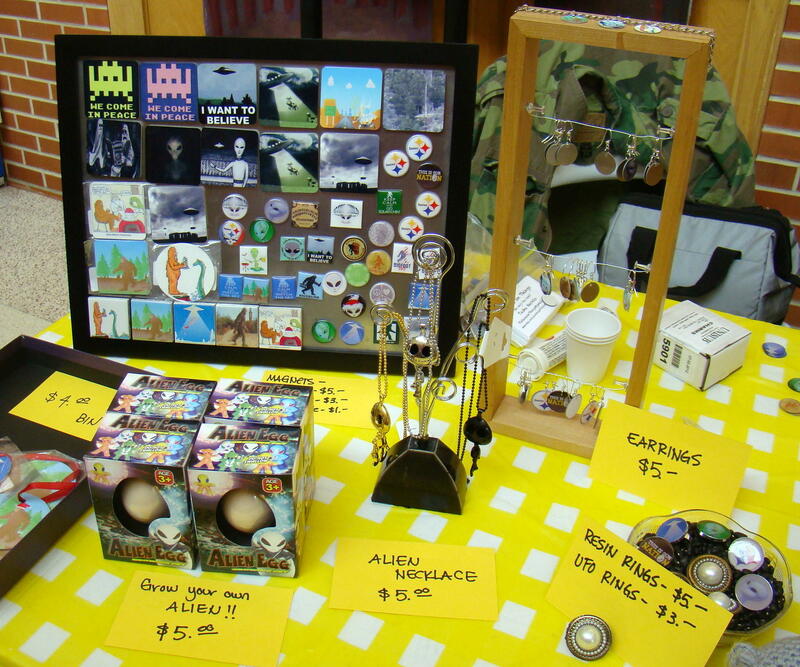 The lobby was an interesting collection of author signings, literature, Bigfoot information as well as UFO memorabilia. 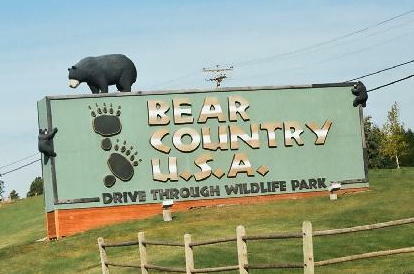 Bigfoot enthusiasts were also at this gathering and the history of Bigfoot legends was explained. 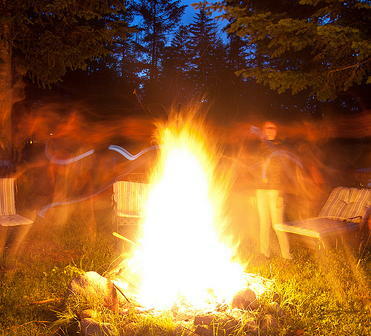 As far back as the Native Americans, their legends discussed similar creatures in the woods. Newspaper archives were a frequent point of reference as far back as 1837 when the first documented story in Bridgewater Bangor Daily Whig & Courier reported a hairy creature was heard whistling in the woods. Today there are many names for this hairy creature around the world: Sasquatch, Abominable Snowman, Almasty, and Bigfoot. Researchers feel they have lots of proof…just no physical specimen! That’s a big missing link. 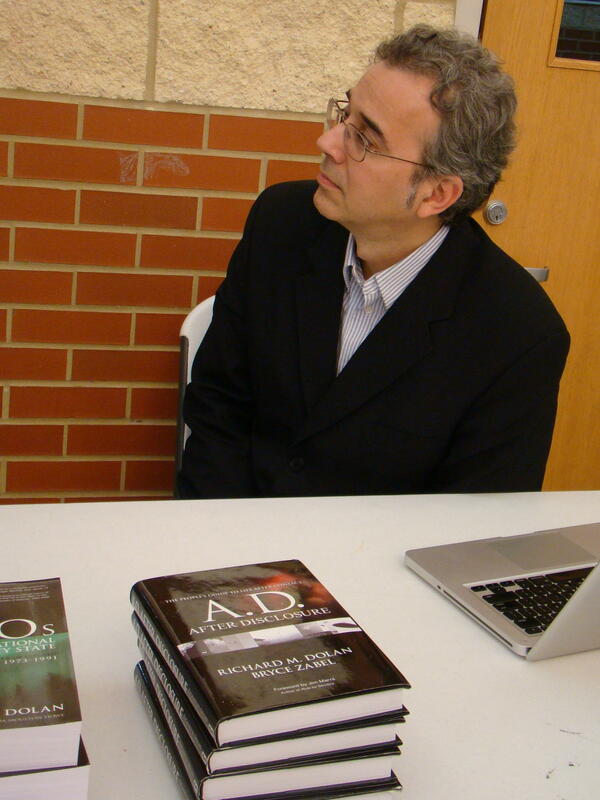 Ufology in 21st Century was the topic discussed by Richard Dolan, one of the world’s most prominent researcher and historian of UFOs. His most recent book, A.D. (After Disclosure) When the Government Finally Reveals the Truth About Alien Contact, discusses the deep impact that would be brought about by the end of UFO secrecy. Many feel that governments maintain secrecy to prevent people from panicking from fear of the unknown. Perhaps aliens exist in our world today so keep an eye on some of those strange people you encounter that seem to be a bit psychic or telepathic. Contact appears to be on an intuitive level making it spiritual vs scientific. But don’t analyze too much! Over 1100 volunteers take accounts and investigate all reported sightings. There are 3000 MUFON members world-wide in 39 countries and that is constantly expanding. In 2011 there were close to 700 sightings a month. That number is up slightly in 2012. While talking with Karyn later in the day, we were exchanging ghost stories. I casually remarked that perhaps my story might make her think I was a little odd. She laughingly remarked, “You’re at a UFO conference; everyone here is strange”…but all very interesting creatures! MUFON is always looking for new members interested in the scientific study of UFOs for the benefit of humanity. There is a study guide to be completed, exam, background check and then field time with an experienced investigator. Maybe you would like to join those curious minds. Want to share a Halloween story in the spirit of the season as a diversion from my regular travel blog. Hope you enjoy! Do you believe in ghosts? Melanie felt a bit skeptical, but her husband Jim refused to even talk about the possibility. Jim said that ghosts were as likely as a flying car. On Halloween evening, they drove to the Goblins’ Get-Together at the popular Simply A-Maizing Corn Maze near an old coal mining town. Leaves floated down as a gentle breeze drifted through the valley on this beautiful Indian summer evening. The call of a hoot owl ensured vigilance under the hazy moonlit sky. 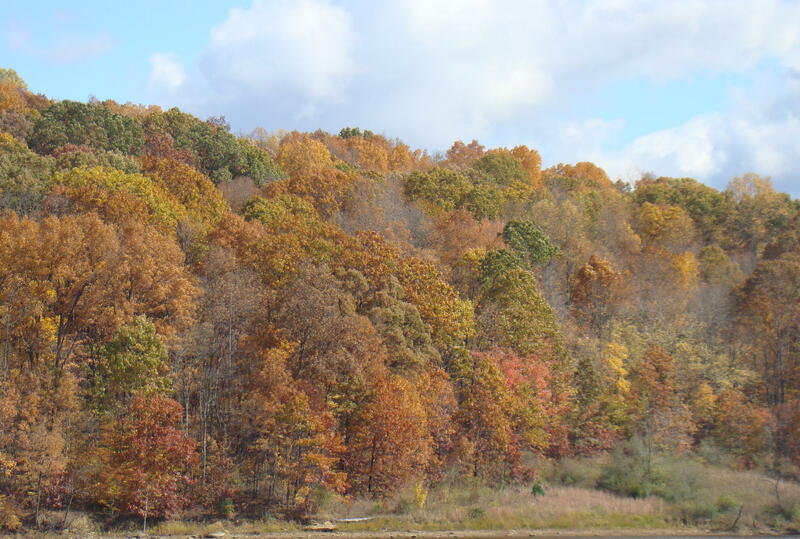 With moonlight dancing across the fiery autumn hills of southeastern Ohio, a mist rose from the nearby valley. All at once a cool breeze came out of nowhere. Melanie’s eyes glazed over with surprise and a shiver ran down her spine. At this old coal mining town, one friend suggested having a contest to see who could find the biggest lump of coal. They divided up in pairs and headed off in different directions. Melanie suggested to Jim, “Maybe we should try over there by that old slate pile.” As they approached, they spotted a dirty young man walking by the pile where the silvery handiwork of nature’s lace maker glistened in the moonlight. “Been here all my life,” muttered the dusty man. In a few minutes, the young man returned with a beautiful large lump of coal. Melanie and Jim glanced at each other in surprise. When they looked back, the dusty man had vanished, and a chill surrounded them; however, the coal remained at their feet. Picking it up with quivering hands, they headed back to the bonfire. Everyone else decided the only coal left here was underground where the mine shaft caved in years ago, so Jim and Melanie’s find surprised everyone. 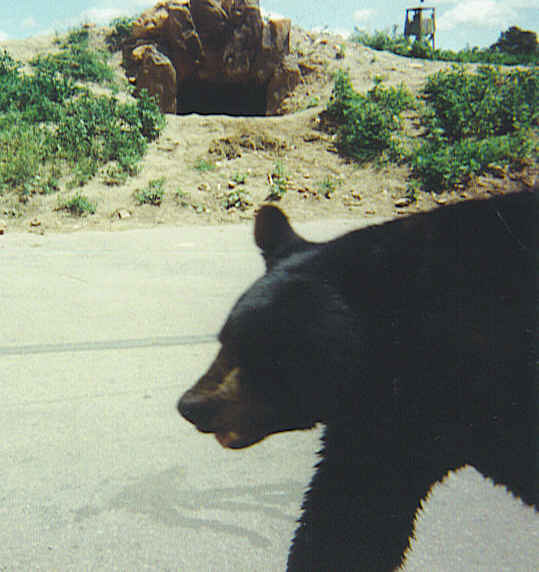 Maybe later they would tell them of their encounter with the miner. Could they have seen the Ghost of Walhonding and received his assistance? Who knows, maybe Jim will soon have a car that flies! Read more about the Ghost of Walhonding in SOLD, a just released book of short stories by the Rainy Day Writers of Cambridge, Ohio. Gypsy Bev has two short stories included and my story, “What’s in the Jar?”, also contains an encounter with the Ghost of Walhonding. Driving past the Cambridge City Park, there appeared an unusual sight – what looked like a jousting match. Upon closer investigation this was a fighting contest called Dagohir, which was part of the 3rd Annual Cambridge Medieval Market Faire. The young fellows said, “We are gentleman off the field, but fighters on the field.” But their battle weapons were rather unconventional as this was “full combat foam fighting” where sticks and balls are all composed of foam. 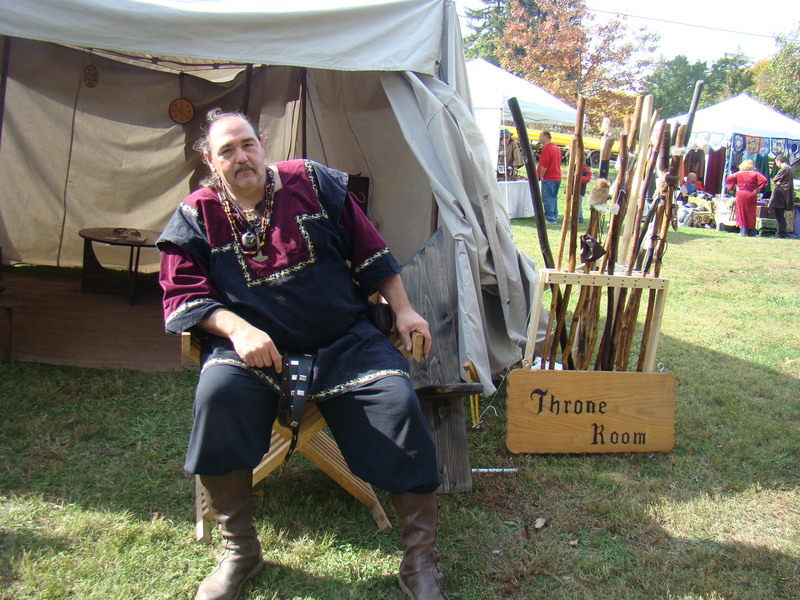 Organizers explained that the Medieval Faires were organized to keep alive the legendary stories of old, such as King Arthur and t he Round Table. 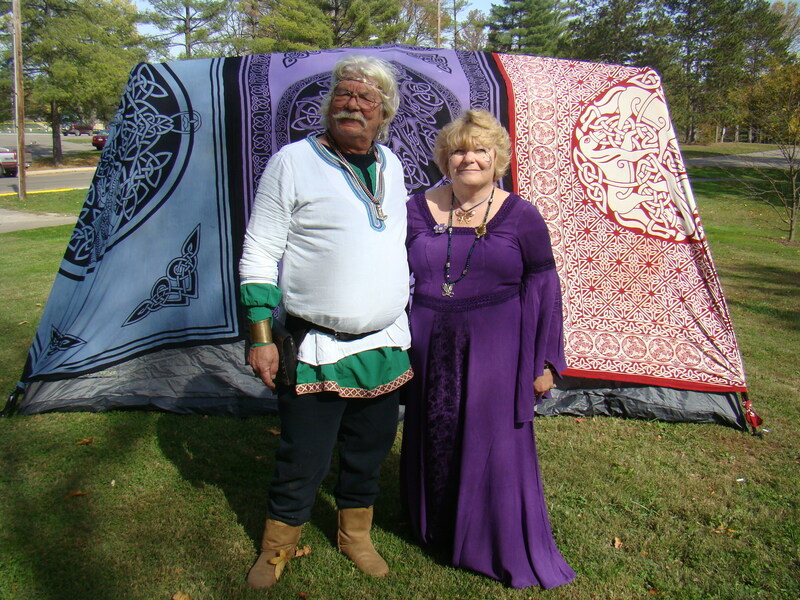 Sir Eugene the Rogue and Lady Lavender are leaders in organizing the local festival, and hope through their games and stories to instill in young men a deeper respect for women. Tents were scattered throughout the park displaying wares of various merchants…all with items from the Renaissance period. Ladies of the Lace displayed beautiful handmade clothing from days of old. 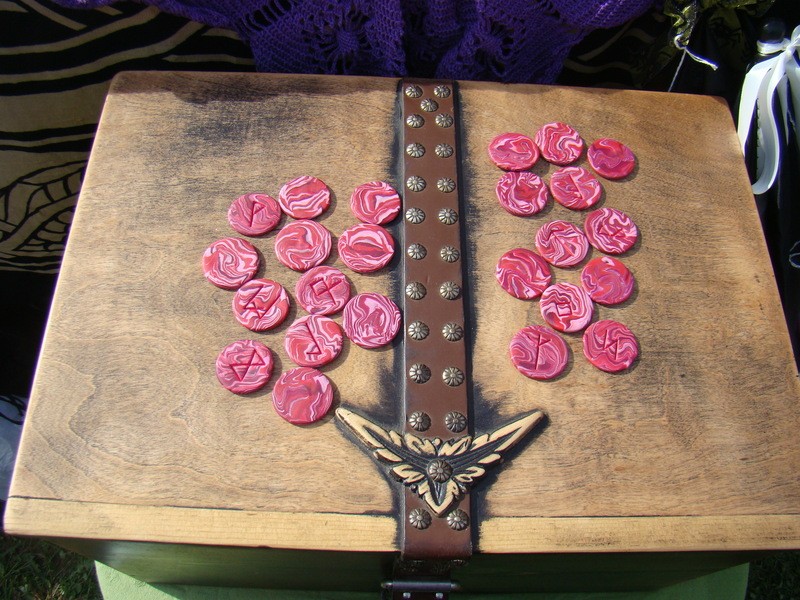 In another tent, wooden book covers and small chests were finely made, so decided to spill a bag of runes atop a chest to get a better look. These rose runes were made of baked clay, stamped with the runic alphabet, and then hand painted by the young man in the tent. Runecasting works with the subconscious so when posed with a deep question, one reaches into the bag of runes for a possible answer. Sitting in a 10th Century German Chair was Uthr in a spot called The Throne Room. Uthr told an interesting story of his life beginning with his membership in the Society for Creative Anachronism, an international group exploring and recreating the arts and skills of pre-17th century Europe. Today he makes beautiful walking sticks and travels around the country sharing his stories with anyone who will listen. 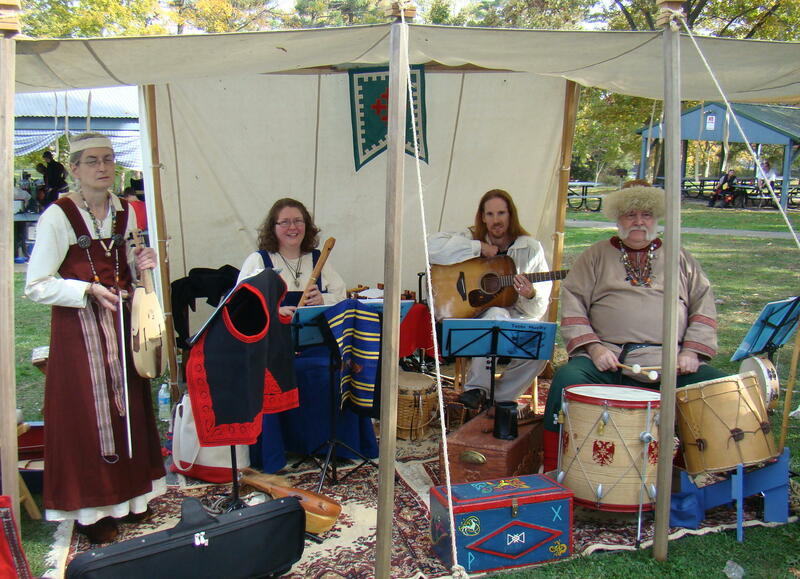 Tants Muziky, which means Dance Music in Ukranian, presented Renaissance and Medieval music on a variety of ethnic instruments throughout the day. This musical family, although not related, also plays a wide variety of music from the European nations: Slovak, Celtic and Scandanavian were a few that they mentioned. Dancers were also present in beautiful costume to add a little flair to the performance. What an interesting and fun-filled afternoon! Later they were having Broomstick Jousting, also called Full Feather Jousting, where you try to knock someone off their broomstick. The last one left is the champion…no prize, just the honor until next year. Need another Renaissance game? Kickin’ the Chicken might be more your style. Could Harry Potter be around here somewhere? The Cambridge Medieval Festival is held at the City Park in Cambridge, Ohio the second weekend of October annually. Cambridge is at the crossroads of I-70 and I-77 so it’s quite easy to access. When downtown, directly behind the courthouse is 8th Street, which will lead you straight to the park. If “a picture is worth a thousand words”, then actually being there must be worth a million. 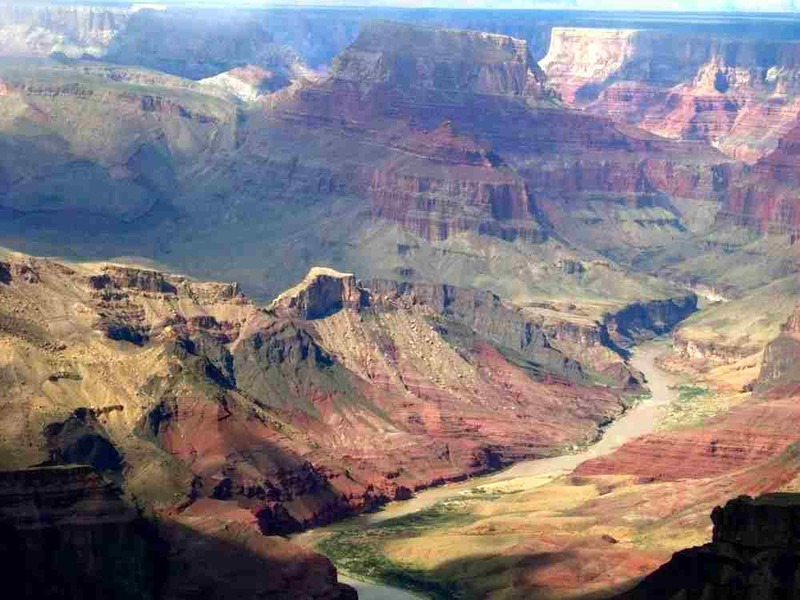 Grand Canyon National Park, with the Colorado River’s wildwater rapids, is astounding beyond the imagination so it’s quite understandable for this scenic masterpiece to be listed as one of the Seven Natural Wonders of the World. Located in the Northwestern corner of Arizona, this massive canyon has been carved over millions upon millions of years. Once this was home to ancient civilizations and in more recent time home to Native American Indian tribes. Still today it is home to five of those tribes: Havasupai, Hopi, Hualapai, Navajo, and Paiute. Hopi legend says that ancestors once lived in caves and tunnels in the Grand Canyon. This could actually be true! 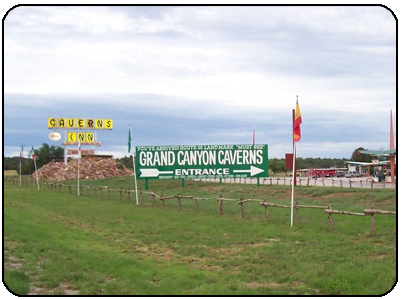 Not far near Peach Springs, Arizona on Route 66 are the Grand Canyon Caverns, 800 acres of caves and tunnels underground, forming the largest dry caverns in the United States. Entrance today is through an elevator, which descends approximately twenty stories into the earth. Perhaps the Hopi had a secret entrance. The air here is pure and dry coming through about ten miles of limestone crevices from the Grand Canyon itself. When taking a tour there, the guide mentioned that these caverns were designated as a nuclear fallout shelter during the Cuban Missile Crisis. Some supplies still remained at that time…just in case. Sometimes my mind wonders if the whole inner earth looks like Swiss cheese. Although larger than the mind can comprehend, this is a tranquil place filled with rare plant and animal life. 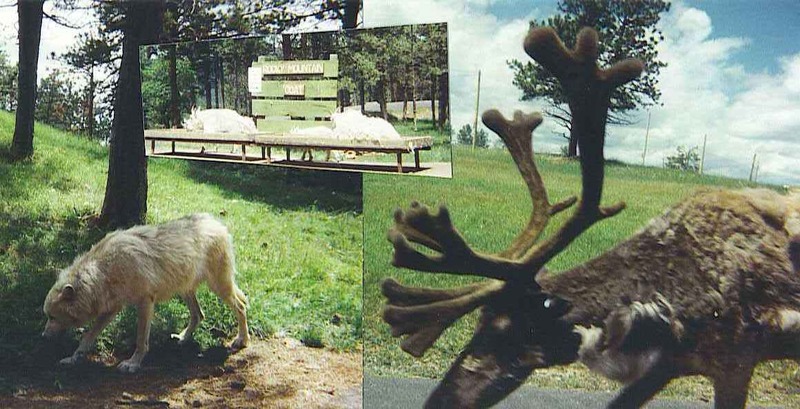 Some of the elk here weigh as much as a thousand pounds so there is frequent warning: Never Approach Wild Animals. One popular scenic view arises at Pima Point. From this point, people say they can hear the Colorado River splashing as it echos off the canyon walls about a mile below. There are many ways to see the canyon for the adventurous. One is to descend the narrow ledges of the canyon on mule back. Since the mule is considered to be the most surefooted of animals, many feel this is a safe way for exploration. Others prefer wild water rafting down the beautiful Colorado River, which is partially responsible for the appearance of the Grand Canyon today. “The walls now are more than a mile in height … A thousand feet of this is up through granite crags; then steep slopes … rise one above the other to the summit. The gorge is black and narrow below, red and gray and flaring above, with crags … on the walls, which, cut in many places by side canyons, seem to be a vast wilderness of rocks. That is quite a trip as the canyon is 277 miles in length. Variations in width make it even more unusual as it is only 600 yards wide at Marble Canyon, while at its widest, it is eighteen miles. The river moves quickly and has lots of rocks along the way so a trip down these rapids is a challenge. 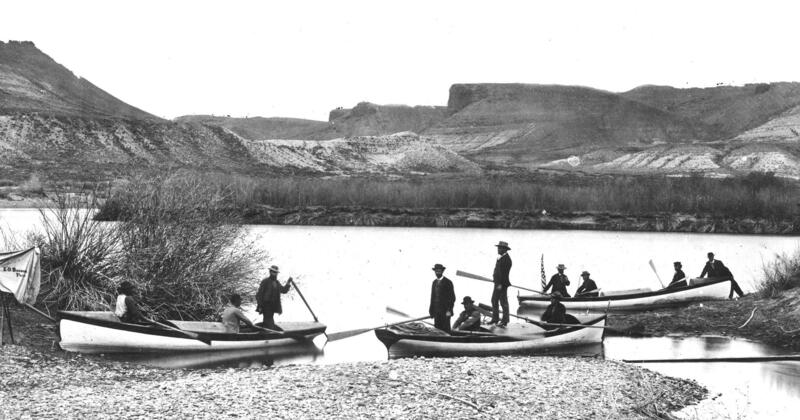 The average depth of the Colorado River is about forty feet so a good idea to wear a lifejacket. A great place to get an overlook of the canyon is from the Yavapai Observation Station, first located here in 1928. The view of the buttes and spires from this point is picture postcard perfect. What a great place to study the history and changes of the Grand Canyon. 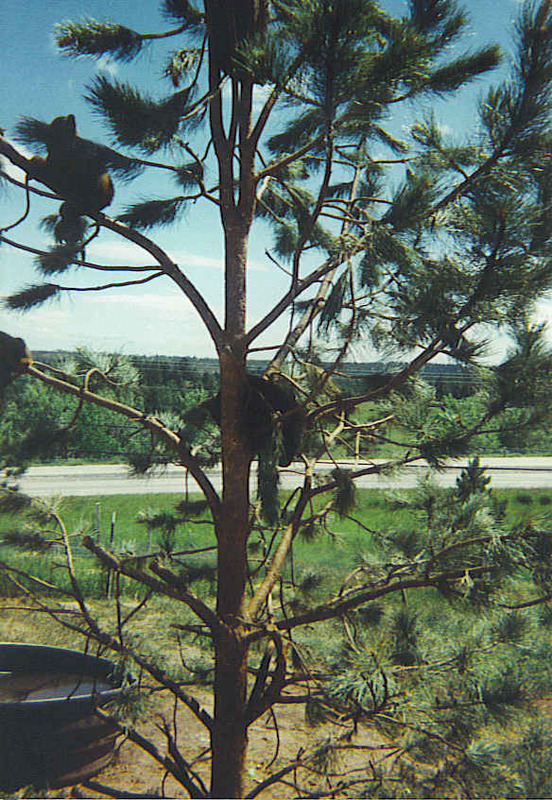 Designed to blend in with the environment, the station was originally built of Ponderosa pine and Kaibab limestone. Here inquiring minds are told the complicated geological story of the formation of the Grand Canyon. Every view is different at each time of the day. Sunlight as well as moonlight bring various sections to life. During the busiest season, April – September, private vehicles are not now permitted along the popular West Rim section. Beautiful Maricopa Point on the West Rim is another favorite picture stop. Also seen in the distance is the Orphan Lode Mine where copper and uranium were extracted during the 1950’s and 60’s. October seems to be the perfect time to view the canyon at your leisure in your own vehicle. Then it is a tranquil place where you forget about the cares of the world and just relax in the arms of Mother Nature. While driving some friends through the canyon on my last visit, the tranquility even captured a busy businessman, who never stops all day long. The only sound from the back seat of my car was zzz-zzz-zzz. 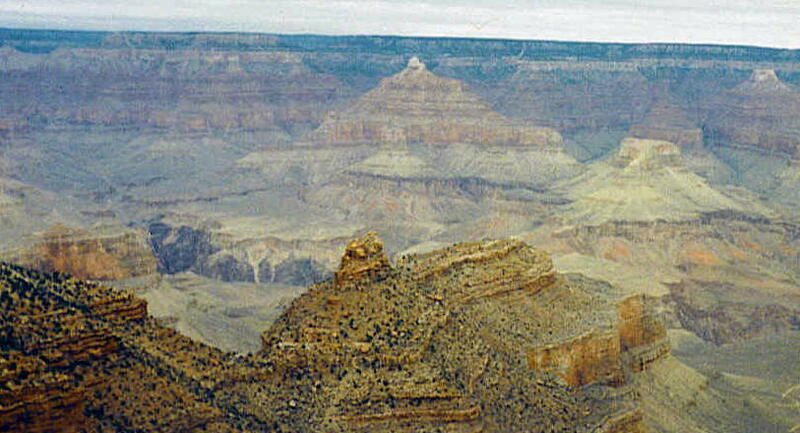 Grand Canyon National Park can be easily reached from I-40 exiting at either Williams – Route 64 or Flagstaff – Route 180. Both routes take over an hour to arrive at the South Rim. Pack a picnic lunch and plenty of bottled water to enjoy a relaxing day. Near the foot of the McKinley Monument, Stark County Historical Society has gathered interesting information and memorabilia regarding the surrounding area. as well as the life of William McKinley. The bust of McKinley greets visitors outside the building. McKinley Museum had many interesting exhibits throughout, too numerable to mention. Here are a few things that caught my eye on a recent visit. One fascinating display showed a clock tower made by Dueber-Hampden Watch Co with a sign “Accurate to the Second.” That was way back in 1889! 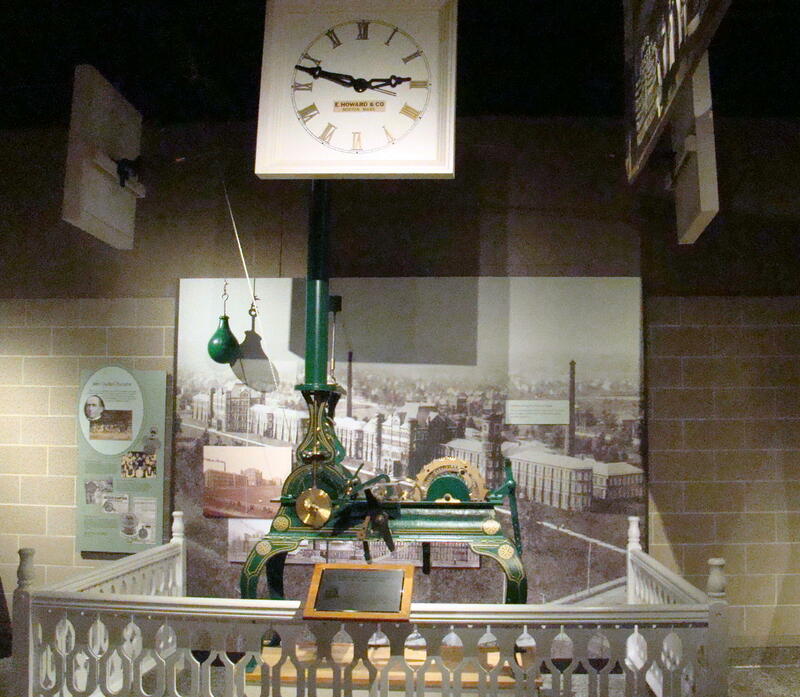 By 1890 the company was producing 600 watches a day in Canton, Ohio and had over a thousand employees. They used 14 karat gold in their watch cases and had 17 jewel movement, quite advanced for their time. This company was sold to a Russian company in 1927 and twenty-one former employees went to Russia to teach them their craft. One report is that their machinery is still being used in China today. The Hoover Vacuum provided a display that attracted lines of children. 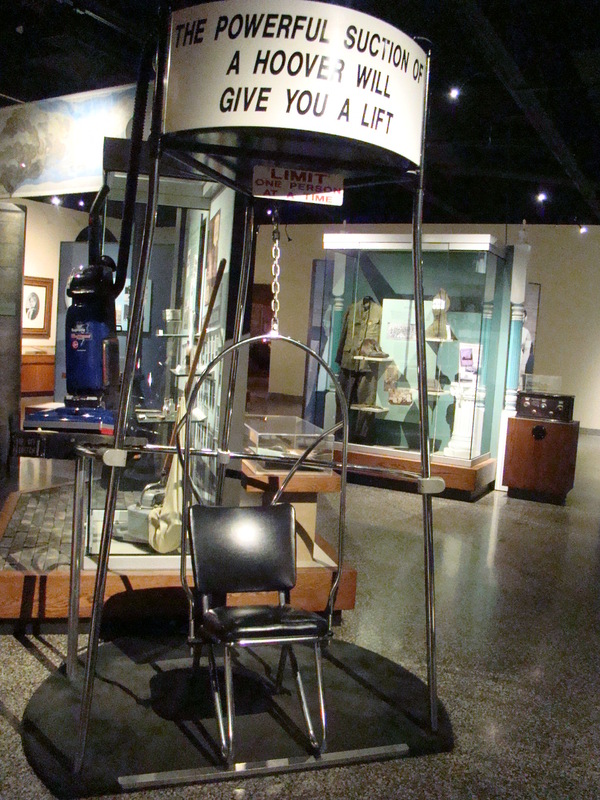 While seated in a chair, they pressed a button which created enough suction to lift them well off the floor. The Power of the Hoover! It is very fitting to be highlighted here as the first upright vacuum was invented by a department store janitor, James Spangler, in Canton back in 1906. He just happened to show it to his cousin, Susan Hoover, who in turn shared it with her husband. “Boss” Hoover bought the patent from Spangler, hired him as Superintendent, and slowly began the switch from maker of leather-goods to vacuum manufacturer. The slogan: “It beats..as it Sweeps…as it Cleans” brought the Hoover Vacuum to the forefront. 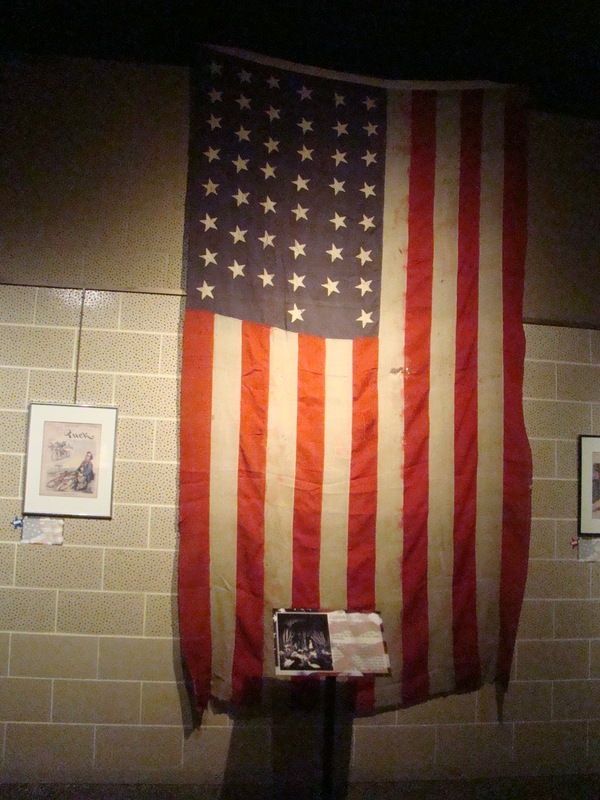 This was the original hand-sewn 45 star American flag that hung on the front porch of McKinley’s home during the 1896 presidential campaign. During his famous “Front Porch Campaign”, McKinley made himself available to the public every Sunday afternoon on the front porch of his home. Usually he was seated in his rocking chair from which he talked to 750,000 people who stopped by. Some say he shook hands with up to a million men from that front porch scene. This campaign appealed to the average voter, who found themselves drawn to a candidate that stayed true to his roots. Rooms were redesigned to look very much like the ones of long ago with their Victorian furnishings. A touch of some form of music was often in evidence as that would have been one of their main means of entertainment. 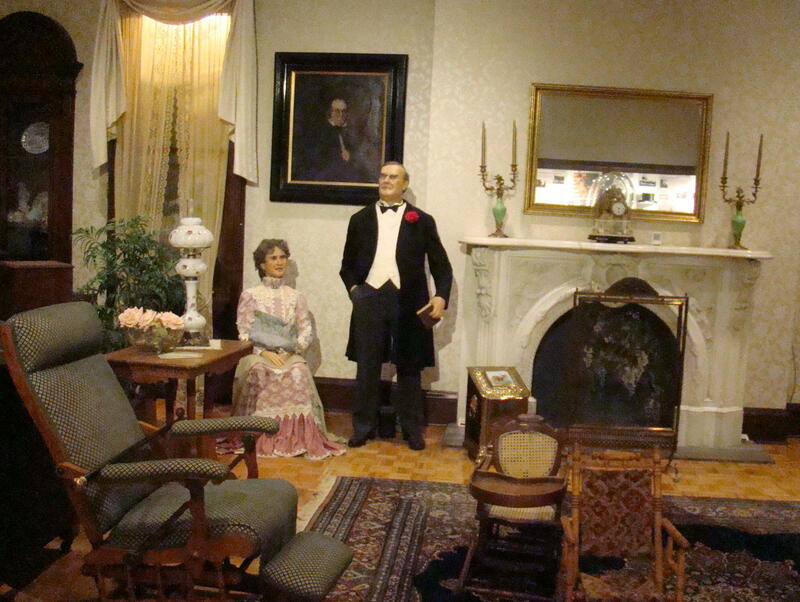 In the parlor, you had an opportunity to listen to talking figures of William and Ida McKinley. Notice that he does have on his symbol, the red carnation.These plastic figures are activated by sensors when you enter the room. The Hazlett Theater is a fine spot to give your feet a rest and watch some old films from days gone by. Here you hear about the campaigns of William McKinley and get to have an inside video tour of the Memorial. There weren’t enough hours in the day, so sadly missed the show at the Hoover Price Planetarium where visitors view the solar system and beyond. They say it is like traveling to space without leaving the ground. Unfortunately, didn’t make it to Discover World either where dinosaurs and early American Indians welcome visitors to Natural History Island, Ecology Island and the new spot, Fascination Station. Looks like a return visit is in order. 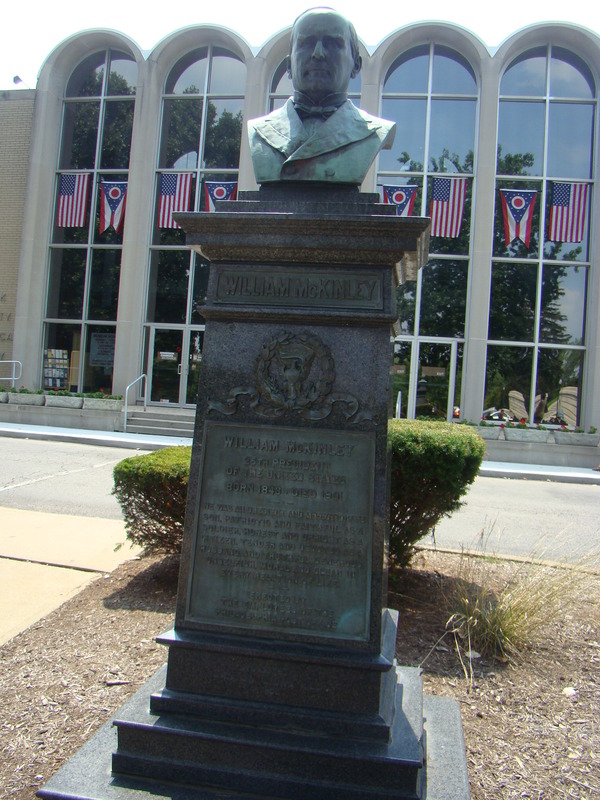 The McKinley Museum is located in downtown Canton, Ohio just off I-77. Take Exit 105 for OH 172, then turn right on 7th Street NW. 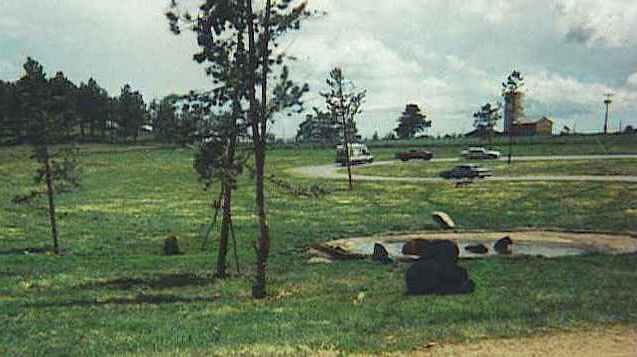 Take the first left onto McKinley Monument Drive where the Museum is located to the left when facing the memorial. Enjoy a little piece of Ohio history.